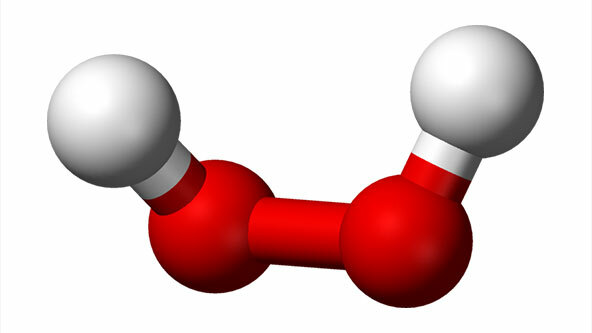 Hydrogen peroxide was first discovered in the early 19th century, but the pure chemical was not produced until 1894. Today, this chemical is produced in quantities of more than 2 million tons worldwide each year. Hydrogen peroxide is a chemical compound usually produced as a diluted solution. This colorless, slightly viscous chemical has a somewhat sharp odor. Pure hydrogen peroxide poses some extreme health risks, and diluted solutions of 3-30 percent can cause potential hazards as well. As a result, hydrogen peroxide should be handled and stored with care whether at home or in the workplace. Read on for safety tips about handling and storing this chemical safely, and how to manage accidental exposure. In high concentrations in laboratory or industrial settings, hydrogen peroxide can pose serious health and safety hazards. Hydrogen peroxide is a strong oxidizer (moderate oxidizer in lower concentrations), and can be corrosive to the eyes, skin, and respiratory system. This chemical can cause burns to the skin and tissue damage to the eyes. Take special caution to avoid contact with hydrogen peroxide mist. Household-grade concentrations of this chemical are generally considered safe to use, but should never be ingested. Due to these potential hazards, hydrogen peroxide should be handled with care. When handling moderate-to-high concentrations of hydrogen peroxide in the workplace, ensure eyewash stations and safety showers are accessible, and use splash goggles, gloves, and an approved vapor respirator. Inhalation—Seek fresh air. If victim’s breathing is difficult, administer oxygen. If breathing is absent, give artificial respiration and seek medical attention immediately. Eye Contact—Remove contact lenses if present. Immediately flush eyes with plenty of water for at least 15 minutes, and seek medical attention. Skin Contact—Flush skin with plenty of water and cover irritated skin with an emollient. Remove contaminated clothing. In case of serious skin exposure, use disinfectant soap and an anti-bacterial cream and seek medical attention. Ingestion—Do NOT induce vomiting. Loosen tight clothing. Never give anything by mouth to an unconscious person. Seek medical attention. Keep hydrogen peroxide away from sources of ignition, heat, and moisture, storing in a tightly closed container. Keep away from incompatible materials such as organic materials, metals, acids, alkalis, combustible materials, and oxidizing agents. This chemical must be disposed of in accordance with federal, state, and local environmental control regulations. Need more information about hydrogen peroxide and other chemicals in your workplace? Browse our MSDS library to learn even more.